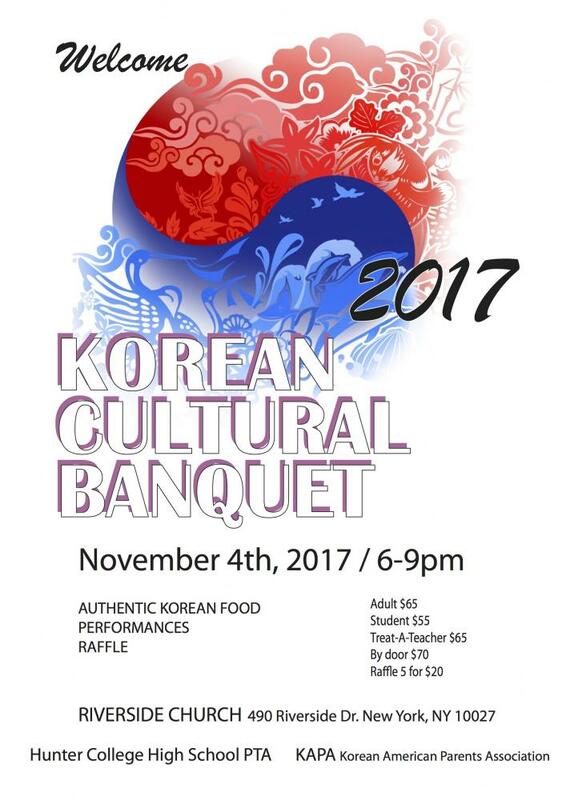 The Fall Korean Cultural Banquet is coming soon!! Please save the date: Saturday, November 4 at 6:00 pm. This year's banquet will be held at Riverside Church, 490 Riverside Drive at 120th Street. The PTA and the Korean American Parents Association are hosting this fabulous event for the entire HCHS community. Please come and enjoy traditional Korean foods, performances, and activities. Grab a chance to win lots of raffle prizes too. Please buy your tickets early! Tickets are available online through October 30. The price for tickets purchased at the Door is $70. This is a fundraiser and community-building event that will benefit HCHS. 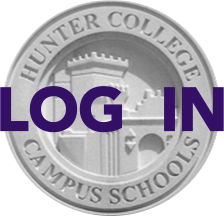 For more information please contact kapa@hunterpta.org. Thank you! See you at the Banquet!